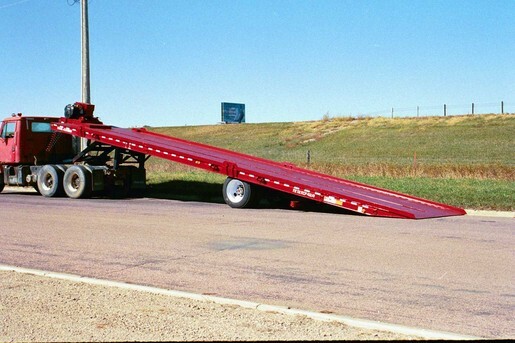 If you are in the Towing or Hauling industry and are looking for a multi-purpose low boy trailer, look no further. TRAIL-EZE Trailers manufactures a TE80DGBUS (40 ton - 80,000# concentrated in 16') and a TE100DGBUS (50 ton - 100,000# concentrated in 16') version. When we first designed this trailer, our main objective was a safe and practical way to haul buses without having to tow them (which could possibly damage them). With a 22" loaded deck height from the front of the main deck to the very rear of the trailer, we were able to perfect this goal!! 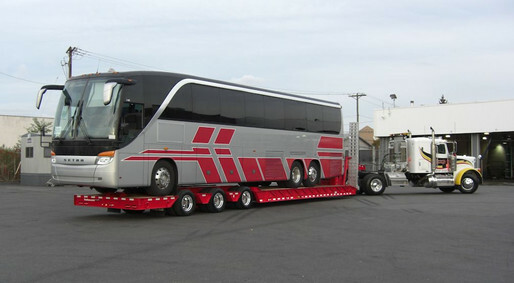 Once we knew we could haul buses, we knew that the possibilities were endless. It wasn't long and our customers were calling us left and right, explaining how versatile this trailer really is. With winch options on the neck and the rear of the trailer, this trailer also doubles as a recovery trailer. Cranes, dump trucks, fire trucks, excavators, dozers and buses are just a few of the different types of equipment the TE80DGBUS and TE100DGBUS are capable of transporting. TRAIL-EZE Trailers is a CUSTOM trailer manufacturer, meaning we build the trailer to your spec so that the trailer is right for you!! 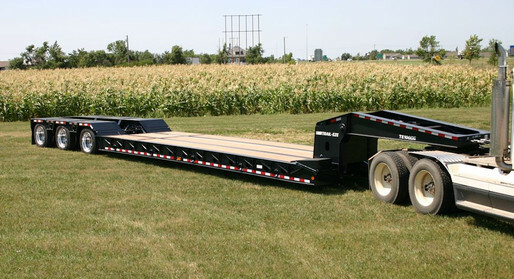 TRAIL-EZE Trailers manufactures a 35, 40, & 50 ton Sliding Axle Trailer (TE701 - TE801 - TE1001). With standard features that set us apart from the competition and endless option choices, TRAIL-EZE manufactures one of the industries leading sliding axle trailers. The way our bed tilts and by utilizing slider pads, instead of rollers, for moving the axles forward and back, TRAIL-EZE cuts your maintenance times while increasing your safety. We take our time to make sure we know what type of equipment you are going to haul so you get the right trailer for the job. TRAIL-EZE Trailers has the container hauling trailer for you, from empties to full, we have multiple styles to choose from. Our single axle units are for moving empties and our tandem axles for the loaded units. With over 50 years in the trailer manufacturing business, call us and see what we can do for you!